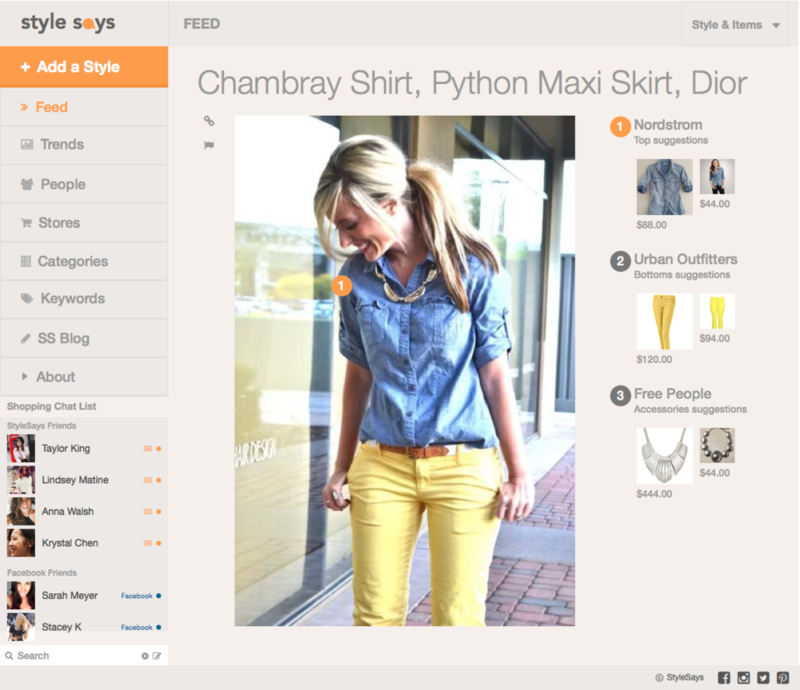 I created StyleSays in 2011 with two classmates at Stanford. StyleSays was a shoppable Pinterest. The goal was to speed up the time from discovery to purchase for shoppers by tagging products in photos. We raised $800K and acquired tens of thousands of users. I managed the product and brand. I helped design and spec tools that allowed users to engage with each other for a more social shopping experience. Over the course of three years I conducted more than 100 hours of user interviews and tests that lead to key product decisions. In early user interviews we uncovered several key insights on the ways people shop online together. The most impactful learning was the correlation between communication response time and conversion. I observed that shoppers were much more likely to purchase if they received positive feedback from a friend within 30 minutes of asking for advice. I saw this behavior occurring frequently on Gchat and SMS. At the time Facebook had recently released a chat API so we built a chat feature that communicated between StyleSays and Facebook. StyleSays users could see what their friend was shopping for in real time and receive product recommendations based on keywords in the conversation. To tag items in photos we relied on the user community. They were incentivised by rewards from the brands. Even so they still needed a simple, fast tool for finding and tagging entire outfits. Through many iterations I was able to help reduce the time need to tag an outfit from an average of 10 minutes down to only five.